Looking for a Melbourne CBD restaurant for your wedding? Well, I might have just solved your problem! 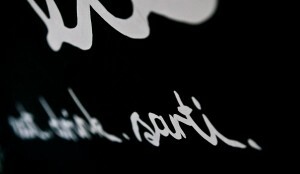 Sarti, just off little Collins Street is one of those great restaurants that is big enough to accommodate a large crowd whilst still feeling intimate, and perhaps most importantly for a restaurant, serves fantastic food to keep even the toughest critics happy. Even if you’re not looking for a wedding venue, it’s a great place for an authentic Italian feed!